Refreshing, stimulating and cleansing. 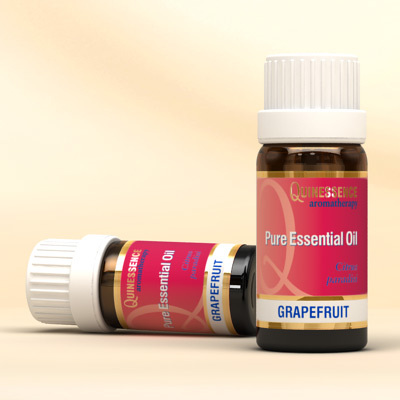 Obtained by cold expression of the peel from the fruit, Grapefruit Essential Oil has a delightfully tangy aroma that is invigorating and highly refreshing. The stimulating action of the aroma on the mind helps to maintain concentration whilst working and driving. Grapefruit Essential Oil helps to stimulate the lymphatic system, which is why it is used in massage blends for the treatment of cellulite and the elimination of toxins, whilst in skincare it relieves oily or congested skin and has a toning action on tired complexions. It has an antiseptic and antiviral action that can be used alone or in blends to protect against chills and colds and when vaporised, Grapefruit Essential Oil kills airborne bacteria thereby helping to prevent germs from spreading throughout the family or at work.